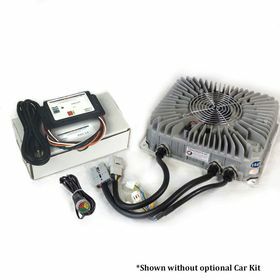 Finally a CAN controlled Charger that has user adjustable settings with the included Thunderstruck EVCC (EV charge controller). This way if you change your battery pack configuration you don't need to buy a new charger or pay someone to reprogram it for you. The EVCC integrates charger CANBUS control and J1772 functionality in a simple to use, cost effective, and environmentally robust enclosure. Charge parameters such as maximum voltage, maximum current, and total charge time are configured, saved in nonvolatile memory, and used when charging to control a CAN enabled charger. -Amazing power for it's size! 11" x 9" footprint and 11 pounds. 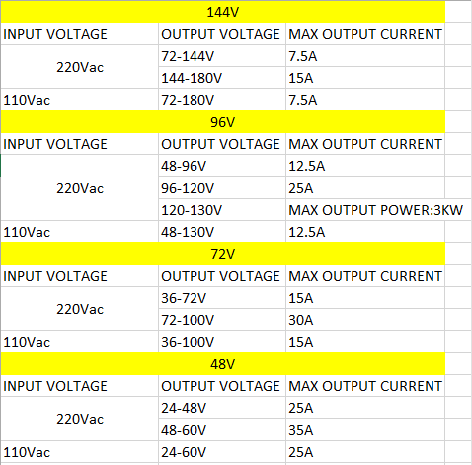 Max output depends on model (see chart). Works with either 110 or 220V input. Waterproof to IP66 standards. Need more power? These can be put these in parallel for quicker charging! -Charger output for lithium is adjustable for Current, Max Voltage, max charging time, and termination current . Additionally a profile for lead-acid can be enabled which adds a 3-stage charge curve specific for that chemistry. -CAN controlled is the new standard for component to component communication. Configuration is performed by a PC running a terminal emulation program over a USB port. These settings are stored in EVCC eeprom. Compatible with Windows 10, XP, 7, Vista, Mac OS 10.7 or newer, and Android tablets version 3.2 or newer. EVCC comes with 4' cable lengths. -Charger also has a BMS integration feature by open or closed input loop, replacing a head board. 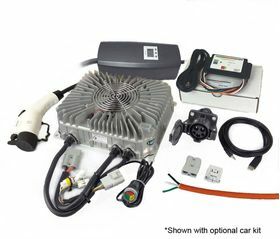 -We will happily pre-program the charger for you upon request to make your project move along quickly and simply. Optional Car Kit Includes EVSE and J1772 port with 5' cable for more universal charging. I'm very satisfied with the TSM charger and its capabilities!. So far this is the most functional charger I ever used. I've been doing conversions for about 6 years, this is my 2nd personal conversion and I've helped with about 5 others. I've seen/bought/used several chargers and when I saw the specs and features on yours, I ordered one even though my existing charger (SC-50) was still working. 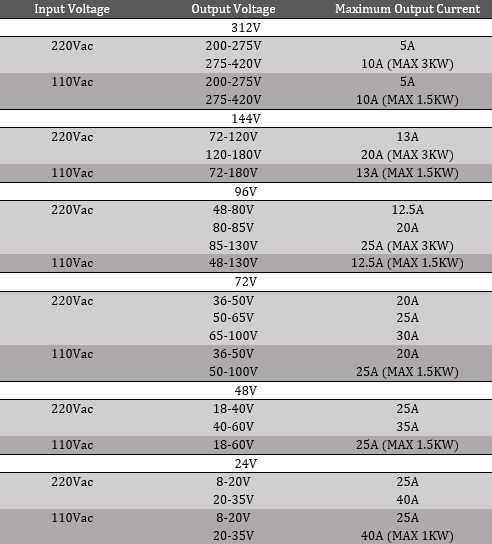 I'm glad to have in installed and may likely order a 2nd power module later this year. I think its a great package and love the features. Just as an example, I have 32 batteries in my conversion now and have room for 4 more, so when those are installed in the pack, I'll get a 12% boost in range and I'll just be able to program the TMS2500 to a higher charge voltage. What a concept!